As far as I know, Bastanis is almost unknown on the Polish market, at least when it comes to final products, as I found some information about Bastanis projects on DIY forums. What's more, I had also never heard of this company until about a year ago. For me it all started with... TransFi tonearm. If you went to the TransFi webpage you might notice a link to a subpage called “Bastani speakers”. That's how I learned about this company’s existence. To be clear, the company's name is Bastanis, and its owner and the man responsible for all the designs is Robert Bastani. My first step was to ask Vic (the TransFi guy) what he thought about the German speakers. He told me he used them himself and was selling kits in Great Britain. From this conversation it was clear that Robert Bastani was as great a sound enthusiast as Vic – they both treat their work almost like a calling, as if they were meant to create great products and deliver them at reasonable prices (at least most of them) for other people to enjoy. There is another connection – the TransFi's tonearm and turntable are quite different from most products on the market, and Robert's loudspeakers are also something special. Bastanis are open baffles and horn speakers – surely not the most popular types these days. Those who knew that I am a fan of SET amplifiers and thus high-sensitivity speakers must have already realized that I was really tempted to listen to the Bastanis. After all I have my own 300B SET (modified ArtAudio Symphony II), my own horn speakers (Jericho based project with Voxativ full-rangers and Fostex horn supertweeters), and for the past couple of months I've been using the JAF Bombard speakers that in fact are some kind of open baffle. Ever since I listened to huge open baffles with PHY drivers I wanted something similar for myself – the only problem is the size of my room that is simply too small for such „space-craving” speakers. The OBs made by Robert Bastani are not that big plus he uses large (10, 15, 18''), paper cone drivers for them. All that sounded like my dream come through. 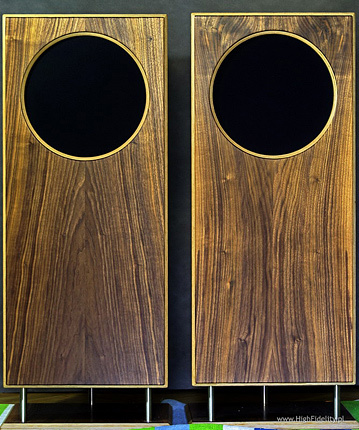 If that wasn't enough for me I read about Robert preferring dipole bass and tweeters, offering final products and kits (naturally costing a lot less plus giving the buyer a satisfaction of “building” his speakers with his own hands). Obviously that would not be a totally universal sound fitting each audiophile's expectations and preferences but it looked like it could be exactly what I wanted. How could I resist and not ask for a pair for a review? Before I did that and after I had talked to Vic I did a quick search on the web. I found some reviews (mostly in the USA and Germany) and I realized that at least a few reviewers – such as Clive Meakins (ETM.com), Steven Marsh (6moons) and Amre Ibrahim (Hifistatement) – kept these speakers after their reviews, which clearly confirms the high level of performance of Bastanis OBs. Vic simply called Robert a genius and gave his highest recommendation to his products, so I didn't wait any longer and just dropped Robert an email. I have no idea whether there was some communication between the two gentlemen but Robert answered quickly offering a pair of his speakers for a review. I have to mention one thing as it shows Mr. Bastani’s approach when contacting customers – before sending me the speakers he asked me (in details) about my room, speakers placement, where I sit, distances from the walls, etc., plus what electronics I wanted to use with his speakers. After getting all the answers he suggested that his OBs would not fit best into my room, as they needed (surprise, surprise) more space around them. He said they would not perform bad, but would not have a chance to show what they were capable of. Instead he offered me his newest product – horn speakers called Matterhorn. Quick look at the manufacturer's webpage and I knew I wanted to listen to them – I forgot the OBs with a smile on my face. The Matterhorn is a horn speaker in a large enclosure with a 15” wide-range speaker and a tweeter. Let’s see – 100dB sensitivity, 15” paper cone driver, dipole tweeter, horn enclosure plus a statement that the speakers sound very well with SET amplifiers, but also with powerful solid-state ones. Wow! It sounded like somebody tailored a speaker for me. I also checked the price – the version I was supposed to receive cost 4,400 EUR – couldn't say it was cheap, but comparing to my other favorites like Avantgarde Acoustics it did not seem that bad. In fact most horn speakers on the market cost much more, so it seemed reasonable, plus there was always a possibility to buy a DIY kit for much less. There was (of course) one downside – each piece weighted 50kg (my horns are even heavier but I had to get them to my fourth floor several years ago, when I was younger). But it was too late to withdraw and the temptation was too strong – I decided to sacrifice my back one more time and we agreed with Robert on the delivery. Cannonball Adderly, Somethin' else, Classic Records, BST 1595-45, LP. Blade Runner, soundtrack, muz. Vangelis, Universal, UICY-1401/3, Special Edition 3 x CD (1982/1991/2007). I had to wait for the delivery a bit but it finally got here 2 days before the Polish long weekend in the beginning of May. Getting them to my apartment was a great challenge but I managed to do that with the courier’s help (thanks one more time!). I was however so exhausted that I decided I’d start to listen to them after I come back a week later. It took me less than two hours and two glasses of wonderful Merlot to recover and regenerate and after that I realized that if I went for my short holiday without even trying to listen to Matterhorns it would surely have been a very non-relaxing holiday. I received the Bastanis speakers with two pairs of tweeters – the standard ones and the dipole ones called Gemini, costing the additional 600 EUR. I started my audition with the regular tweeters and the Matterhorns hooked up to my modified ArtAudio Symphony II (Tom replaced regular transformers with those from Diavolo), which is a SET amp built around the legendary Western Electric 300B tubes. As I mentioned before Robert claims that the Matterhorns perform equally well with s-s amplifiers, but considering their 100dB sensitivity I had to start with my SET (also because my own horns and some others I had a chance to audition never sounded too good with solid-states). I used those 2 days I had before vacation to listen to this rig and... to be honest I wasn't really thrilled. I left for holiday a little disappointed but it was bugging me the whole time I was away. I had an access to email during my vacation so I exchanged some emails with Robert and received some clues from him, including suggestions about speakers’ placement. So when I came back home I made some adjustments, changed the tweeters to Geminis and swapped amplification for my other system which consists of the Modwright LS100 (tube preamplifier) and the KWA100SE (s-s power amp) and... I started to like what I heard very much. Sure, I was also rested after the holiday which always helps with a more “friendly” perception of sound. But the more time I spent with this system the more I liked it, despite solid-state amplification! It sounded great and... not really like horns. Horn speakers usually offer amazing midrange, but their sound is also somewhat colored and both range extremes are rolled-off at least to some point. It is easy to love such sound as the midrange, carrying around 80 percent of the whole music information, is unbeatable, the presentation coherence of a single driver is outstanding, with high-efficiency and great dynamics being additional assets. 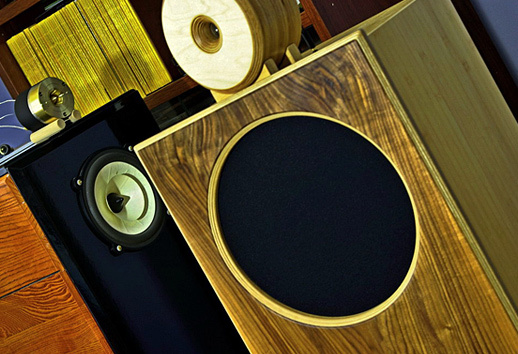 If you can accept the flaws (mostly rolled-off extremes) you can spend the rest of your life with such speakers. If you can't live with these flaws you have two choices – either buy some other speakers or add tweeters and maybe also a subwoofer/s (you lose some of the coherence of course). I lived with horns for quite some time, accepting their flows, loving their advantages. Then I added tweeters and a subwoofer. Then I became a reviewer and horn speakers were not a good choice for a reviewer even though they offered fantastic, holographic soundstaging, musicality and realism/palpability of the midrange that no other speakers (except for better horns) could rival. The problem is that they offer all that only with low-power tube amps. Sure there are Avantgarde Acoustic speakers that can be driven with any (good) amplifier, but they are simply out of my (financial) league and an active bass module also makes them not the best tool for a reviewer. So for some time I used my horns (mostly for my own pleasure) and other speakers (like JAF Bombard) for my reviewer’s job but believe me that moving around two pairs of heavy speakers is no fun at all if you have to do it regularly. Thus finding a single pair of speakers that would allow me to enjoy the music in my “off time” and also use them for reviews became my priority, obsession even. The Genesis G 7.1f came close but the active bass module was a problem for the reviewer’s job. Now it seemed that I might have finally come across speakers that would sound well with low-power SET and s-s amp – I needed to check if they were also capable of clearly showing differences between various system components. My first impression – the Matterhorns are full-range speakers. Their manufacturer does not offer any technical data (apart from sensitivity) so I don't really know their frequency range, but from what I can hear there is plenty of bass, including the lowest one, and there is great, nicely extended treble, too. And just against my whole experience the 100dB horns perform damn well with my solid-state amp, plus their price doesn't kill you. Well, OK, 4,400 EUR is not some pocket money for most of us, but look around on the market – that's surely not a price that would scare off most audiophiles (unlike so many prices one can see nowadays). Also if you can't afford 4,400 EUR then you can choose the kit, build them yourself and thus get great speakers at a very reasonable price. Not only that but tons of satisfaction to boot ‘cause you may brag about them to all your friends saying that you built them. That last aspect might be particularly attractive to many people. It is almost a DIY activity and you don't need extended knowledge about building speakers to assembly a kit. I realize that working with your own hands takes time and effort but believe me (and that comes from a guy whose “DIY-ing” is limited to rolling tubes and swapping his horn drivers for better ones) that even such simple activity can bring amazing amount of satisfaction. You put it together, plug it in and... it works! Wow! What a great moment, how proud it might get you – try it yourself. Anyway, I received the final, beautifully finished product for this review – this way Robert could be sure I wouldn't mess anything up during assembly. As already mentioned the Matterhorn looked like my dream come true – a horn with a huge 15” paper-cone driver. I'm definitely not a fan of the ‘narrow front’ loudspeakers trend that's been dominant on the market for several years now. Manufacturers keep on trying to get bigger bass from smaller and smaller woofers to make smaller cabinets that would better fit in people's apartments – that seems to be their new objective, not the best sound anymore. In my opinion a large diameter woofer will always offer more natural bass – it might be not so impressive/aggressive as from many bass-reflex designs, but it gets some much closer to what you can hear at live concerts. That's my opinion and I'm not going to claim it is the “absolute truth” but you should check it for yourselves. The Matterhorns sport a large 15” driver that’s not a classic bass-woofer but rather a wide-range driver as it covers the frequency range up to 6 kHz! Robert Bastani doesn't offer too much information about his proprietary solutions nor does he try to convince the customers with some smart tech-talk; it's the performance of his speakers that should convince the potential buyer. As already mentioned the Matterhorns are a floor-firing bass horn design. I haven't learned much about the drivers – the tweeter starts at 6 kHz and there is only 1-element crossover (a single capacitor); the 15” woofer rolls-off naturally at 6 kHz without any crossover at all. 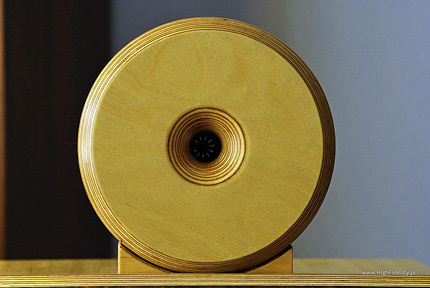 The paper-cone woofer is manufactured according to Robert's specification and then treated in-house to allow it to work up to 6 kHz. A special, proprietary oil-treatment is applied to make the cone work as flex-cones to higher frequencies. It is somehow similar to Manger drivers - only small partitions of the cones reproduce midrange and thus Robert claims to avoid the typical ‘beaming’ and ‘shouting’ of big cones at higher frequencies. 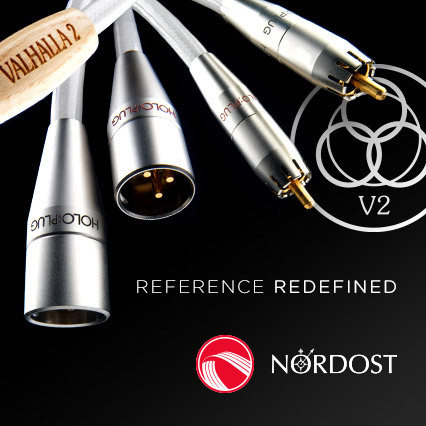 Quoting Robert: “additionally the Matterhorn wideband drivers get some laquer-treatments to dampen resonances and to make the last resonances more widespread that they are below a disturbing level which would stress the ears. That’s the best and most direct connection to the amp and allows maximum control of the amp over the driver. The wideband driver is 100dB/1W/1m efficient in 8 Ohms, the maximum continuous input-power is 500W to AES standard. The only series crossover- part is the 1,8 MF series- cap before the tweeter. This cap is homegrown and easily competes with the best and most expensive silver-foil-caps.” And then “the basic diaphragm-material of the wideband drivers is paper (oiled and lacquered). The Gemini tweeters are made to my specs and I do additional treatments on the diaphragm. The diaphragm is phenolic (better tonality than metal diaphragms) but without my treatments it’s limited up to 17Khz, with the treatments the Gemini tweeters easily climb above 20Khz. The new Standard tweeters are... standard tweeters from the line of a manufacturer... but they also offer a phenolic diaphragm and the frequency response is linear up to 20Khz, the efficiency is 102dB and the level of distortions is extremely low, even at high listening levels. In comparison to other expensive tweeters the Standard tweeters compare very well but the Gemini’s are a class of their own...” Both standard and Gemini tweeters are placed inside heavy, wooden horns, square or rounded; these in turn are plugged to binding posts placed on top of the Matterhorn cabinets. The cabinets are quite heavy at 50kg a piece. They look a bit like huge monitors as the cabinet is placed on three metal legs that are fixed to a solid plinth. These are floor-firing (or floor-loaded) horns so such design always gives a proper distance from the horn exit to the plinth but you need to remember that floor-loaded bass means working together with the floor, so the distance cannot be too large. That's very important because there are no feet or cones under the plinth which might be a problem on some floors (like mine). You might want to use some kind of ‘feet’ but you need to remember they have to very short – Robert recommends maximum 1cm high and he suggests trying different materials (wood, cork and so on). In my case I used the Slimdiscs from Franc Accessories and they worked very well. Without them I got a lot of bass but it was rather boomy. When I slid the 3 Slimdiscs under each speaker the „boomy” effect was gone and I could enjoy a pure, taut, and powerful bass. Then I had some work finding the best position for the speakers in my room; although all other horns I’d had before were very simple to set – no toe-in at all – this time I had to toe the Matterhorns in a little as this position worked best. 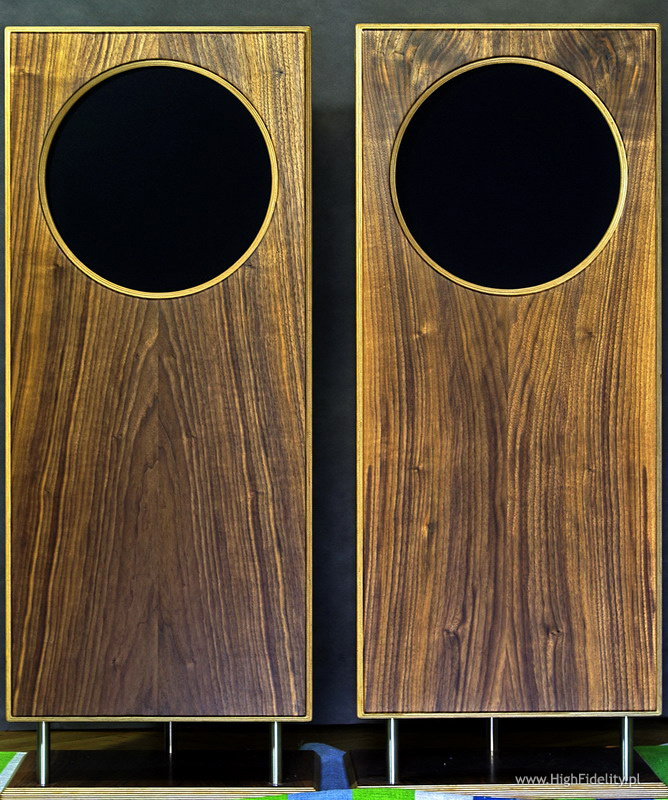 Since the Geminis are dipole tweeters and they stand freely on the cabinet you can always try different positioning for them – the main cabinets might be toed-in but the tweeters shooting straight ahead. You need to find the best position in your particular room.